Attention Windows 10 users: Microsoft is offering massive deals on over 1000 items in the Windows Store through November 29th. We’re just a few days from Thanksgiving in the United States as I write this, and as usual, the holiday shopping season is getting underway, complete with the requisite sales. Not to be outdone, on Friday, Microsoft kicked off a ten-day sale during which select hot movies, music, games, and apps are on sale for only ten cents each. According to Microsoft, over 1000 items on the Windows Store will be offered at these bargain-basement prices, and it includes a wide range of popular items. But there are a few catches. First, you need to Windows 10 in order to take advantage of these deals. Second, the ten-cent offer is only valid in the 50 US states and the District of Columbia. Also, the offers change regularly, and not all 1000-plus items are on sale for ten cents at the same time. For example, the movies Jurassic World, Terminator Genisys, and Hunger Games Mockingjay Part 1 were available for ten cents only on Friday, November 20th: If you try to buy them today, you’ll have to pay full price. 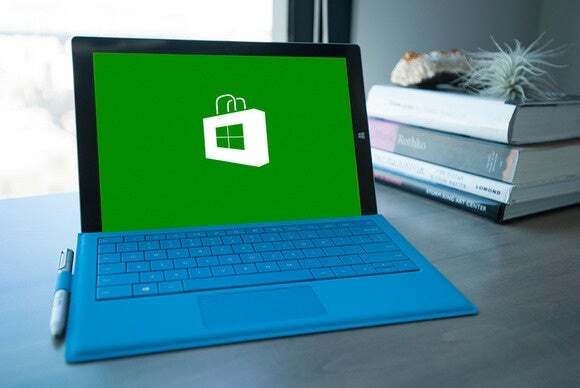 Check the Windows Store regularly to see what’s on sale for any given day. But hurry—the ten-cent sale runs only through November 29th.